Ever since the emancipation of Europe’s Jews, the nuclear religious Jewish (ultra-orthodox; also known as Haredi) scholarly community has been almost totally introverted – devoting all its energies to the preservation of a core of undiluted Torah (The Sacred books of Jewish Law and Belief) among the Jewish People. Recent years, however, have seen the unprecedented growth of the religious Jewish community worldwide, and for the first time in modern history, the ultra-orthodox Jews in Israel today constitute a burgeoning, secure community, a major force to be reckoned with in the national arena. This mandates a "normalization" of their condition, including their broad participation in the general activities of the country, in non-political venues. An historical window of opportunity is now open for religious Jewish scholars to make a more positive contribution to the wider Jewish world and to humanity in general. 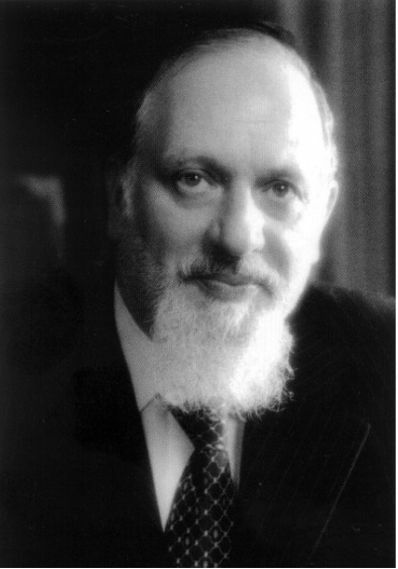 The Harav Lord Jakobovits Torah Institute of Contemporary Issues has postulated that, ideologically and sociologically, there is a readiness even in the mainstream ultra-orthodox community to come to grips intellectually in an affirmative manner – in study, research and dialogue – with the enormous new challenges that are inevitably being entailed by Jewish independence and increasing ultra-orthodox involvement in general society. We have submitted that it is in the distinct interest of the entire population to encourage this development, for the alternative is the crippling presence in Israel of a fast-growing population-group unprepared for the rigors of self-rule in this complex modern world, and the ever-accelerating danger of a primitive and potentially cataclysmic kulturkampf. It is for this reason that the Institute was founded - to facilitate the development of new ideas, authentically generated within the world of the Traditional Jewish value system, which can bring about real change in the present incendiary state of affairs. 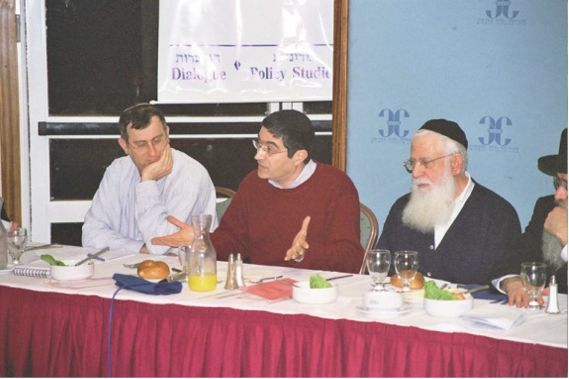 The Institute is the central facility of the Torah Community in Israel for generating, evaluating and communicating dynamic new thinking on modern-day issues and public policy matters, and for groundbreaking dialogue with opinion setters and policy-makers. Generate positive and non-coercive policies on the part of the Torah community, using new avenues of research, planning, and action. The Institute is keenly aware that new opportunities and challenges also conceal new dangers. When confronted with historic processes, necessitating momentous decisions, the community must be exceedingly careful to draw authentically on its traditional, ageless value system and not lose sight of it. Ensuring that there is no deviation from the path of true Judaism. The Institute recognizes that such engagement requires, first and foremost, extensive, systematic and penetrating study of many contemporary issues, which are to be examined in an unprejudiced manner, in the light of Torah-true Jewish Law and thinking. This preliminary study is to be followed by multidisciplinary studies required for confronting constructively and courageously the educational, communal and governmental quandaries that face the Jewish community and the contemporary world today. Therefore, the Institute’s programs focus on this crucial requirement. The Institute was founded by the Ura Kevodi Association, which has been achieving the aforementioned goals since 1994. The fundamental unity of the Jewish people.